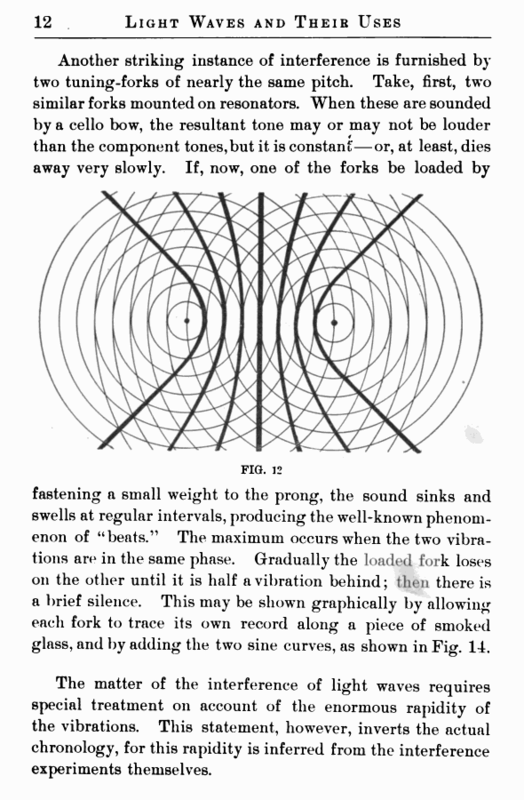 fastening a small weight to the prong, the sound sinks and swells at regular intervals, producing the well-known phenomenon of “beats.” The maximum occurs when the two vibrations are in the same phase. Gradually the loaded fork loses 011 the other until it is half a vibration behind; then there is a brief silence. This may be shown graphically by allowing each fork to trace its own record along a piece of smoked glass, and by adding the two sine curves, as shown in Fig. 14. 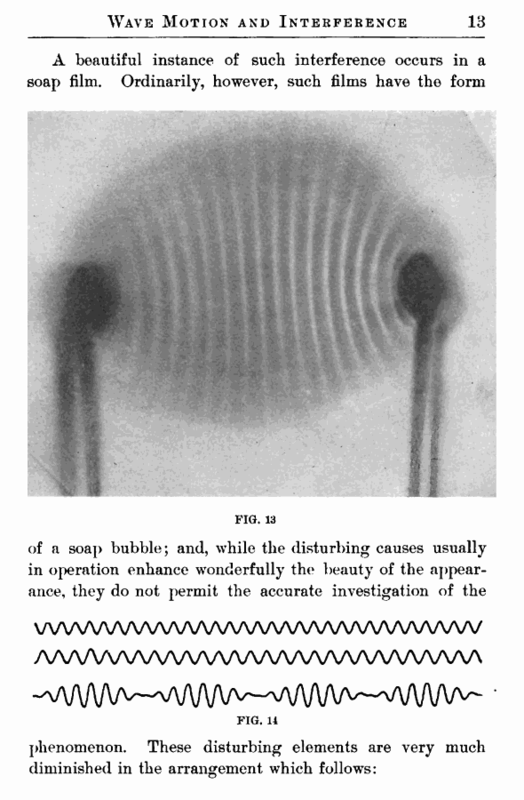 The matter of the interference of light waves requires special treatment on account of the enormous rapidity of the vibrations. This statement, however, inverts the actual chronology, for this rapidity is inferred from the interference experiments themselves.